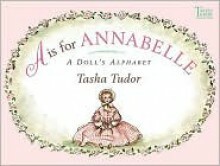 A is for Annabelle, grandmother's doll, B for her box on the chest in the hall. Learn the alphabet from A to Z with the help of Annabelle the doll. Each gorgeously illustrated spread features one of her favorite things.